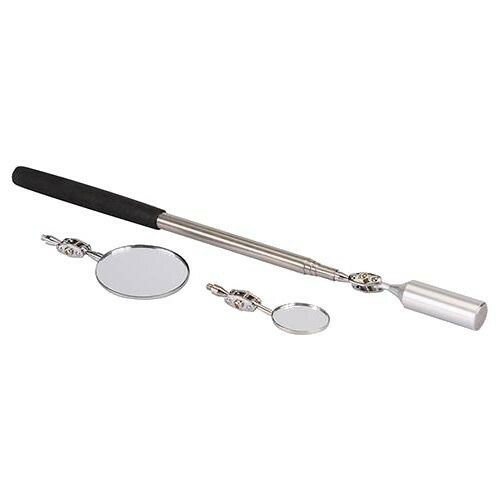 Brand New Pick-Up Tool 3-in-1 Multi-headed inspection/pick-up tool, with telescopic shaft, magnetic pick-up head, standard and magnifying mirror. Non-slip vinyl handle extends to 800mm. Locates & picks up small ferrous parts.